The ILO is launching the Youth Employment Video Contest: youth labour migration “Reaping the benefits, minimizing the risks”. Are you working to promote decent work for young migrants? Then submit a video! Don’t have a camera? Use your phone! The video is your opportunity to show how YOU make a difference in the lives of young migrants. Let’s give a voice to young migrants! You’ve got up to 5 minutes to tell us how you make a difference! 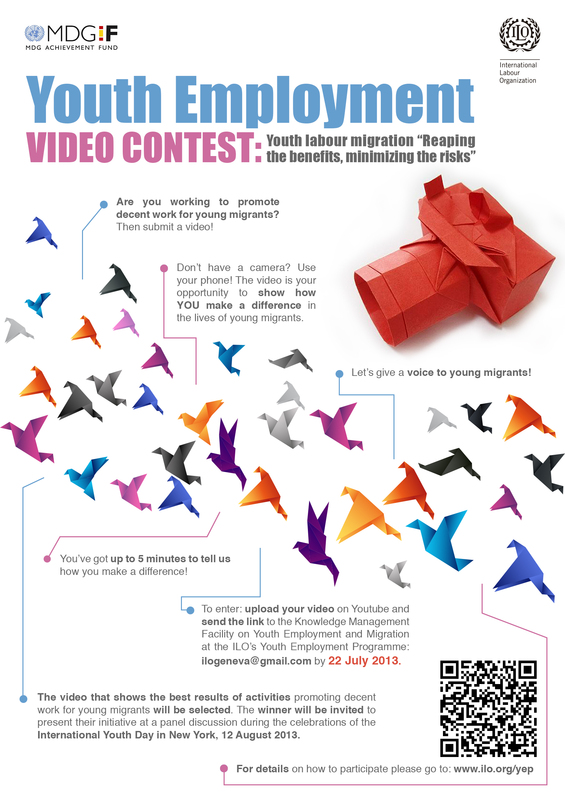 To enter: upload your video on Youtube and send the link to the Knowledge Management Facility on Youth Employment and Migration at the ILO’s Youth Employment Programme: ilogeneva@gmail.com by 22 July 2013. The video that shows the best results of activities promoting decent work for young migrants will be selected. The winner will be invited to present their initiative at a panel discussion during the celebrations of the International Youth Day in New York, 12 August 2013. To enter the video contest, send us your video (of maximum five minutes) showing how you make a difference in the lives of young migrants. The jury will select one winner who thinks best show decent work for young migrants. On 12 August, which is International Youth Day, the winner will be invited to take part in a panel discussion, to be held in New York. The ILO will cover all your travel costs. This contest presents a unique opportunity for all of us to give a voice to young migrants and meet leaders engaged in shaping the future of our societies. The jury aims to recognize and shed light on outstanding freedom of expression by people who actively promote decent work for young migrants. The contest is organized as part of the knowledge management facility on youth employment and migration that is sponsored by Spain’s Millennium Development Goals Achievement Fund (MDG-F) and managed by the ILO. You should enter if you are working to promote decent work for young migrants, are over 18 years-old, happy for your video to be shown publicly and available to be in New York on 12 August should you win. Full eligibility and legal details are below. Here are some guiding questions: How are you contributing to the better livelihood of young migrants? How are you shaping the future society for young migrants? How are you promoting decent work for young migrants? We also invite you to share a powerful message for those young migrants on the move. You may produce your video in a team but only one winner will be eligible to attend the panel discussion in New York. We are looking for videos with a powerful message, which clearly show the results of your activities relating to the promotion of decent work for young migrants. The video is your chance to explain how you are shaping societies for young migrants everywhere. 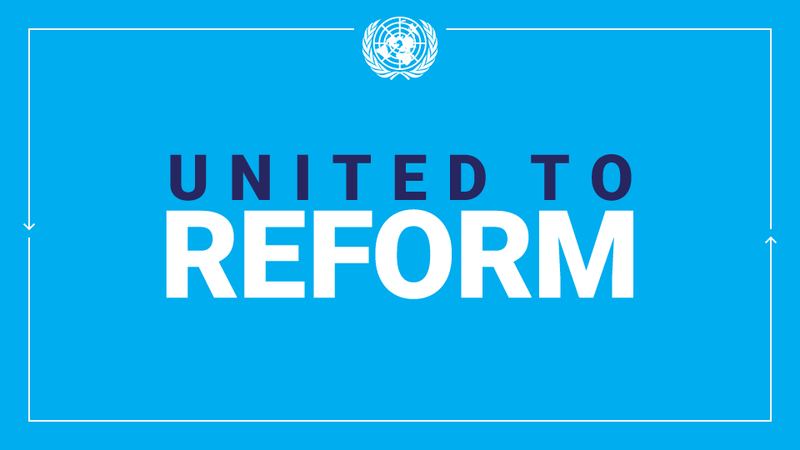 The participants grant the ILO, its partners and other United Nations Entities, as well as other persons or entities authorized by the ILO, a free of charge, non-exclusive, irrevocable, transferable, perpetual, worldwide license to use the copyright, related rights or any other intellectual property rights that have arisen by law or will arise by law in the prepared and submitted videos. international level. Don’t forget to give us your powerful message on the issue! must include subtitles in one of the ILO’s working languages. • Deadline for submissions: 22 July 2013 at 23:59 (GMT). Français: Concours vidéo sur l’emploi des jeunes: Jeunes travailleurs migrants “Récolter les fruits, atténuer les risques” instructions ,‎pdf 1.5 MB‎.